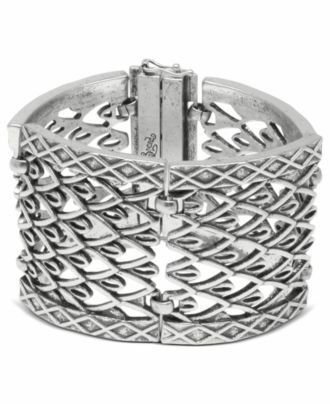 If you're a silver lover, make a statement this season with a bracelet like this Silver Link Cuff by Lucky Brand. This geometric design in tarnished silver is casual enough to pair with any outfit, but is still a great accessory for cocktails. Grab this bracelet and try it here, with ViewTry!